The NFL Scouting Combine took place last week where I counted over 325 players participated in both the on-the-field football drills and the off-the-field team interviews. At the combine, a player’s draft stock can either rise or fall depending on how they perform on the field and if they can impress coaches and general managers in a meeting room. This year’s broadcast and coverage of combine drills put a focus on the 40-yard dash, bench press, and various football drills depending on the position. Of course I am not a part of the coaching staff or front office so I can only judge character and off the field traits based on what I hear. I can only go off of what I see. 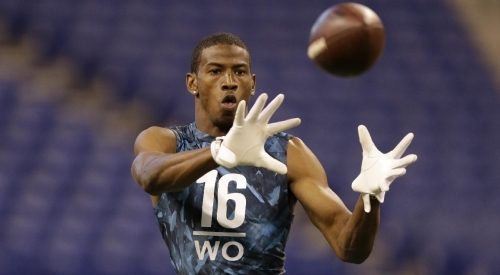 The first two days of the 2013 combine focused on offensive players. I have noted some players who I believe helped themselves at the combine and who I would have an eye on for the Seahawks to draft; broken down by position. An example of a player who can help their draft stock is a player who can put up above-average numbers in both the 40-yard dash and bench press. Those two drills are the most important activities in my eyes. With offensive lineman my number one priority is strength. I like an offensive lineman at the combine who can do at least 27 bench press reps. In my opinion I do not believe any of these lineman will be picked in the first round. I am looking for value at this position much like was the case with J.R. Sweezy last season. The guys on this list who really caught my eye were Vince Painter and Brian Schwenke. Painter was one of only four offensive linemen at the combine who ran a 40-yard dash under five seconds. He also tied for 5th for most bench press reps among his position group. A guy who can put up numbers in the top 5 in both categories is a guy whose stock will rise and a guy I would be interested in for the Seahawks to take a look at. Brian Schwenke may be one of the best guards available in this year’s draft and is currently projected to be a 2nd round pick. He is a Pac-12 guy so Coach Carroll may be more familiar with him than other prospects. Schwenke could be a guy who could challenge Paul McQuistan for the starting LG spot. With the signing of TE Darren Fells, I think it is safe to say the Seahawks will not be in the market to take a tight end early in the draft. You can scratch both Tyler Eifert and Zach Ertz off the board. I think it would still be possible to add more competition to the tight end position later on in the draft. Any of these three guys I think I would like to see in Seattle. I think another vertical threat would help Russell Wilson. If Fells does not pan out, it will be interesting to see how the Seahawks attack the tight end position in this year’s draft. I am split on Matt Flynn. 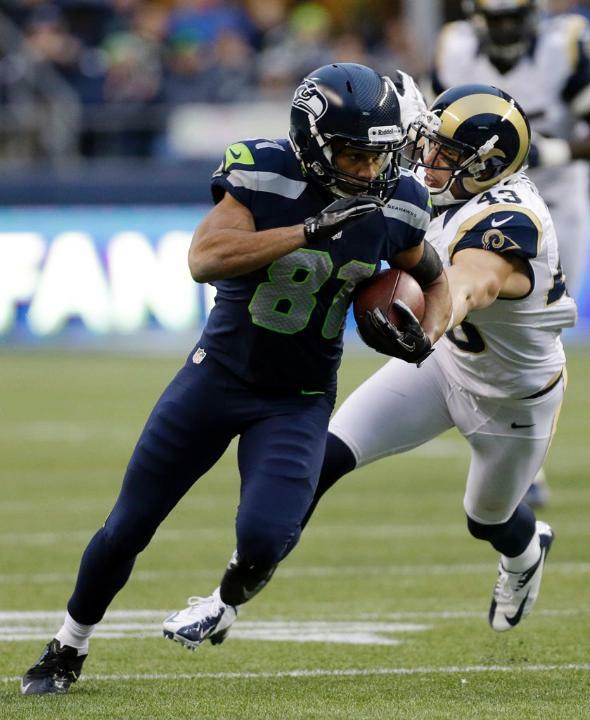 I think he is a reliable backup in the event Russell Wilson gets hurt but he runs a different offensive package. Without a third quarterback currently on the roster I think it would be beneficial to bring in another athletic quarterback who could step in and mirror Wilson’s offense. These are the only two quarterbacks I would be interested in. E.J. Manuel was the MVP of the Senior Bowl and ran the second fastest 40-yard dash behind potential top 5 pick Geno Smith. Manuel is expected to be a 2nd or 3rd round pick. Matt Scott was a player who surprised me. He ran a sub 4.70 40YD and looked pretty good in the on-the-field quarterback drills. If Scott is still available in round 5, I think it is realistic to think the Seahawks could use a pick on Scott. The Seahawks have their franchise running back set in stone with Marshawn Lynch. They also have their 3rd down power back locked in with Robert Turbin. Leon Washington is still a solid kick returner but is getting older. Could it be time to start thinking about replacing Washington? These four guys I think could have the potential to come into Seattle and make an impact in 2013. My spotlight is on Onterio McCalebb. McCalebb ran unofficial 40YD times of 4.27 and 4.21; the fastest running back at the combine. His stock is sure to rise but imagine him returning kicks for the Seahawks. With his speed and footwork (which looked good in running back drills), McCalebb could be a nightmare for defenders to try to tackle and he could set the Seahawks up for great field position. Kerwynn Williams could be a guy to keep an eye on because he was teammates with Robert Turbin in college. In my opinion, unless an offensive lineman projected to be a top 15 pick falls to the Seahawks at 25th overall, the only offensive position the Seahawks will be looking at in the first round is wide receiver. I am really high on both Tennessee receivers Cordarrelle Patterson and Justin Hunter. Patterson and Hunter are 6’2” and 6’4” respectively and could be long, tall vertical threats that could line up opposite Sidney Rice. In order to draft Patterson the Seahawks will have to trade up and given the conservative draft strategy of general manager John Schneider it is highly unlikely that will happen. The only way I see us trading up to take Patterson is if Patterson really impressed the Seahawks in his combine interview and if the price is right to pull the trigger on a trade. Hunter is a more realistic pick. Hunter is projected to be a mid-2nd or early 3rd round pick and could be one of our choices on day two of the draft. I like Hunter because of his leaping ability. He tied for first in the vertical jump among wide receivers with a jump of 39.5 inches. I think we need another tall receiver who can jump high to make catches. Tomorrow I will post part two of my combine thoughts. Part two focuses on the defensive participants.